THREAT OF DEFAMATION BY THE CHARITY SANCTUARY HOUSING. Further to my email of 18 August 2015 to Sarah Warren, National Head of Customer Services, Sanctuary Housing, and others, I now address the threat of defamation. You will recall Sanctuary’s lawyers Wragge Lawrence Graham & Co LLP, was paid by the Charity to ‘act for Sanctuary Housing Association’ and threaten defamation for an article I had written on my business website on 03 January 2015. That although I was clearly the author of the article Wragge & Co, on behalf of the Charity, made the website Hosting Company solely responsible for the article and for it’s accuracy, and threatened to sue the Hosting Company unless the article was removed. The impact of this threat to sue was immediate and the temporary closure of my business website was threatened by Wragge & Co, on behalf of the Charity, if the article remained. “That we request that the article in question be removed by 1pm GMT tomorrow (30/01/2015). If the article remains online at that point then we will disable the entire website until this can be resolved”, unquote. That although the threat of defamation was not made to me directly, despite me being the author of the article and the owner of the website, the Charity did indirectly threaten my business and potential earnings and did impact negatively upon the good relationship I had with the Hosting Company and my website provider. That the Charity did finance the suppression of Free Speech via the back door, which Wragge & Co went along with, in making the Hosting Company not only responsible for the article but responsible for the accuracy of the article. In response to the threat of defamation upon the Hosting Company I reluctantly censored parts of the article only and after first copying and pasting it to another website where it has continued to be posted on social media in it’s original and un-censored format. “Featured picture this week, above, comes as a warning to would be Sanctuary tenants. It shows the consequences of external water damage to a 20 year old flat in Timber Close, St Austell. The damage was reported no less than 5 years ago and according to Sanctuary Housing the external water damage is the responsibility of the tenant to put right. The tenant is vulnerable, has long term mental disorder and is on benefits. The damage is very high up and would require special equipment. Although Sanctuary’s Simon Clark, Managing Director, David Bennett, CEO, Cornwall Council and Stephen Gilbert MP have all long been aware of the problem, the problem remains unresolved thanks largely to the willful blindness and uncaring arrogance of the aforementioned. This week’s “Mansell Award” is awarded to Sanctuary Housing’s CEO David Bennett who has just recently been awarded a CBE for his services to social housing. Apart from the fact the man is a criminal and the worse kind of rogue landlord in the country the award had nothing to do with the fact he is without honour and is a poor excuse for a decent human being. For the criminality I have been personally subjected to by Mr Bennett and his perverse staff I think it more fitting if he was sacked, arrested and scrutinized in a court of law for willful fraud and deception”, unquote. The first 2 quoted paragraphs were not mentioned by the Charity or Wragge & Co but they do serve to demonstrate that while the Charity was prepared to fund legal action it was not prepared to fund the repair of the external water damage which remains to this day, and which I find very perverse and negligent of CEO David Bennett CBE. The above will be posted on social media and each posting will be numbered to indicate how quickly the Charity resolves this matter. 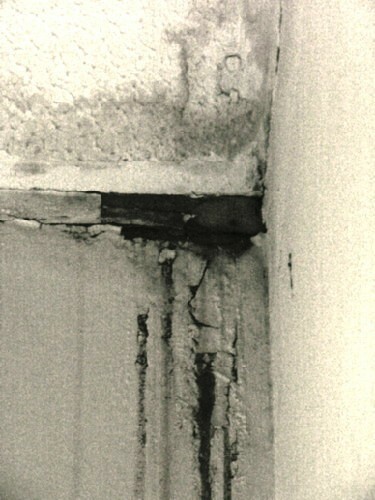 I will use the photo of the water damage from the article whenever possible. 34 Timber Close, St Austell, Cornwall. PL25 5NZ. Criminally abused victim and resident of the Charity Sanctuary Housing Association. Copyright 23/08/2015 – G R McLaughlin. THE EMAIL SANCTUARY HOUSING WILL NOT ANSWER. Blog entered 17 August 2015. The following email was sent to Sarah Warren, National Head of Customer Services, Sanctuary Housing, in reply to Changes to your Rent and Service Charge sent to me on 27 May 2015. The email was copied to Contactus@sanctuary-housing.co.uk, Simon.Clark@ sanctuary-housing.co.uk, heidi.hodgkin@sanctuary-housing.co.uk, claire.griffiths@sanctuary-housing.co.uk, office@stevedouble.org.uk, akerr@cornwall.gov.uk, simon.mansell@cornwall.gov.uk, pubaccom@parliament.uk, Laura Evans, panorama.reply@bbc.co.uk. (Andrew Kerr, then CEO of Cornwall Council, has since left the Council without resolving one single outstanding issue since he became the CEO). Changes to your Rent and Service Charge. I refer to your letter dated 27 May 2015. Before I address the 2015 – 2016 period I would first like to deal with the current 2014 – 2015 period. With regard to the Grounds Maintenance Specification (GMS) for 2014 – 2015, please provide me with an explanation as to why I did not receive a copy of the GMS despite me asking CEO David Bennett CBE, Managing Director Simon Clark and Group Board member Judge Rosemary Crawley in writing every week since June 2014. Please also provide me with an explanation as to why “Laundry Equipment – Non Contract Maintenance” appears on the 2014 – 2015 schedule for Timber Close. Please also provide me with an explanation as to why the current Eligible Service Charge of £3.10 was reduced in March this year to the forthcoming July 2015 – 2016 Eligible Service Charge rate of £2.63, despite myself and the majority of residents still having to pay the higher rate. With regard to the new 2015 – 2016 Eligible Service Charge period please provide me with a full breakdown of the services and charges indicated in the schedule, and please provide me with the GMS for 2015 – 2016 as soon as possible as well as any other information I am entitled to. For the sake of clarity I would also like a copy of the Rent/Eligible Service Charge for the 29 houses for the 2014 – 2015 period, and a copy of the 2015 – 2016 period, which, up until a few years ago was provided to every Timber Close resident. Please also provide the same in respect to the houses owned and maintained by the Charity in Gover Road. Simon Clark has refused to provide me this information in the past because he considers the information would not be classed as my personal data and he is therefore not at liberty to supply it to me. A long winded way of saying what was provided to every resident a few years ago is now confidential. Which is of course pretty disturbing in an age of transparency. If you are of a similar mind I would ask you to simply provide my MP Steve Double with the requested information. With regard to the weekly Service Charges you will be aware I have continued to pay this ” Under Protest” since 2009 when the charity ceased to provide a weekly maintenance service for many months despite taking weekly Service Charge payments, then resorted to criminality to cover-up the neglect and fraud. This then led to an unlawful external mediation Scam funded by the Charity with approval from CEO Bennett, and which remains unresolved to this day. That the Charity has continued to make me a victim of a crime, and has continued to steal from myself and the residents to this day. Only last week the Charity failed to perform the weekly grounds maintenance tasks specified in the 2013 – 2014 GMS, resulting in the residents paying in excess of £120.00 for the stated 2 hours work which was not carried out. You should also be aware my current Service Charge payments are paid into an Escrow Account until such time as the Charity resolves outstanding issues since 2009, reimburse me the monies it was not entitled to take or demand, or take me to court. Whilst I appreciate the Service Charges over recent years have been reduced in recognition of the serious allegations I have been making since 2009, the reductions also confirm myself and the residents have been willfuly, systematically and unlawfully robbed by the Charity. Before addressing the Rent issue, which has increased every year in contrast to the Service Charge reductions, which I can only assume is not just another creative way of stealing from us, I would like to remind you of the shambolic 2012 – 2013 period. I do so because I still do not understand how a lot of very clever professional employees of the Charity all got it so badly wrong. That if similar mis-information was rolled out through-out the country and was not challenged the Charity would have benefited very nicely from it’s own mis-information. I suppose the litmus test, metaphorically speaking, must always be that if mistakes and errors constantly benefit the one making the mistakes and errors it is probably more by design than by accident, like most cases of fraud. You will recall soon after the introduction of the shambolic 2012 – 2013 period in June/July 2012, I challenged it and the Eligible Service Charge of £4.24 then had to be fully reviewed and was eventually reduced to £3.70, due partly to the inclusion of “Lifts – Engineering Inspection, Laundry Equipment – Non Contract Maintenance”, on the schedule, neither of which were applicable to Timber Close, and that an internal memo later suggested the reduction should have been more than 54 pence p/w per resident. I can only assume the following 2013 -2014 period reduction of the Eligible Service Charge from £3.70 to £3.13, had more to do with that memo and that myself and the residents should have received a more accurate and honest reduction during the 2012 – 2013 period. It cannot surely be lawful for the Charity not to correct and fully compensate residents soon after mistakes are realised rather than pocket some or all of the proceeds of that mistake. Reducing the Service Charge in the next period and reducing services or charging extra for services which were previously covered cannot make it right in the eyes of the law. With regard to the Rent Increase of 2015 – 2016 I disagree with this increase for the same reasons I disagreed with the 2014 – 2015 rent increase in writing to CEO Bennett, Simon Clark and Judge Rosemary Crawley on 16 June 2014. Specifically that I do not find it acceptable for the Charity to increase Rents when it has willfuly wasted many thousands of pounds keeping properties empty for too long in Timber Close due to it’s unlawful ‘ringfencing’ and deception activities for Cornwall Council. Only recently another flat in Timber Close was willfuly kept empty for 6 months despite numerous complaints and a housing waiting list of nearly 30,000 applicants and few properties available to offer them. With regard to the new Eligible Service Charge schedule for the 2015 – 2016 period I totally disagree with the introduction of “Communal Service Costs. Repairs to Communal Lighting inc Bulbs” with a Budget of £50.96. Since when did existing responsibilities become new chargeable responsibilities ? You may be aware I lodged a written complaint to CEO Bennett, Simon Clark and my then MP Stephen Gilbert in January 2015, concerning some of the flats communal solar lights not working. That I considered it a Health & Safety issue and that the lady resident below me nearly fell over one evening due to the solar light nearest to her flat not working. When my neighbour complained to the Charity about this she was told the solar lighting was not the responsibility of the Charity. According to my records Sanctuary’s Michael Howarth, Community Developement Officer, accepted responsibility for the solar lighting in 2009, on behalf of the Charity, when he stated “In addition we plan to provide solar security lighting for Residents safety & convenience”, unquote. My main gripe with the inclusion of this is that the largest and probably one of the richest social housing landlords in the country cannot take it’s existing Health & Safety responsibilities seriously until after it can be entered into the next Rent/Service Charge period. When I worked for corporations £50.96 would have been considered petty cash and Health & Safety issues were never delayed. What I find even more offensive is CEO Bennett is paid in the region of £314,000 a year for abdicating responsibilities such as this, not to mention the Charity money he has squandered protecting criminality by himself and his staff. I also think it relevant to mention that a quarter of the flat residents are vulnerable single women who have all been subjected to the consequences of the covert and toxic human waste dump unlawfully created by the Charity for Cornwall Council. That throughout most of 2014 the police had to visit the flats community most weeks due to anti-social problems and criminality arising from the toxic mix of drunks and junkies constantly coming and going day and night. I can assure you Sarah venturing out in the evening darkness with drunks and junkies roaming around in the shadows because some of the solar lights do not work would deter most male residents popping outside let alone female ones. I am sure CEO Bennett, Simon Clark and Judge Rosemary Crawley will never forget my weekly written warnings in 2014 that someone would die here if something was not done, only for a young 30 year old woman to die here nearly 8 months later. Perhaps they have already forgotten but I will never forget the sight of a black ambulance and the removal of a young woman in a body bag. In closing, please also provide me with a full explanation of the new 2015 – 2016 entry “Communal Cleaning Costs. Internal Cleaning, Fly Tipping and Waste Removal”, costed at £160.16. To my knowledge “Communal Cleaning” is already provided free of charge by God when it rains, unless of course Bennett is hoping to capitalize on it. I trust you will provide me excellent customer service Sarah Warren, National Head of Customer Services, it being the fundamental aim of what you do, and that you will be open and honest with me every step of the way to deliver a really personable service. That I am not just a number and that you will get my issues resolved. 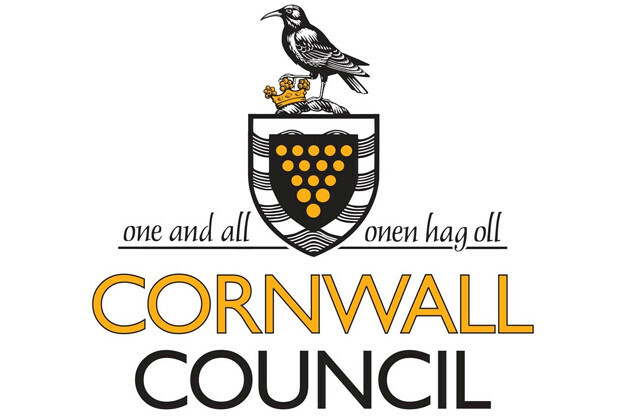 CORNWALL COUNCIL ADMITS FREEDOM OF INFORMATION REQUEST REFUSAL WAS WRONG. refusing the above FOI request was wrong. were not mentioned in the original FOI request. which the Council and others would prefer to remain buried. competent and less negligent and corrupt. criticised system of administrative justice in the world”, unquote. challenge or over-turn a decision made by a fellow Ombudsman. benefited from cheating in the same way some athletes win medals. complaint until after the LGO had ruled in the Council’s favour. How unfair, perverse and unjust was that. once again in reply the above FOI request and review. ‘Duty of Care’ to my late wife whatsoever. mentally ill and the vulnerable has been going on. and integrity of the ICO is also threatened. their individual and collective ‘Duty of Care’ to them. claiming (cannot be named for legal reasons) was an employee of the Council and not the NHS Trust. You have twice referred to “7 Council employees”. you to the explanation above. I will inform the ICO.